Cockles are the cheaper cousins of oysters and clams. Although the later got the glamor, the former are a good option for tasty and easy to do dishes that mix well with pasta. Fill a frying pan with abundant olive oil. Add some garlic and chili and cook it slowly for a couple of minutes. Don’t let the garlic become toasted. Add a glass of white wine and the cockles. Cook for about 2 minutes, until all shells are opened. In the meantime, cook the pasta up to ‘al dente’. It may take between 3 minutes (fresh pasta) up to 10 minutes (the kind you buy in the supermarket). 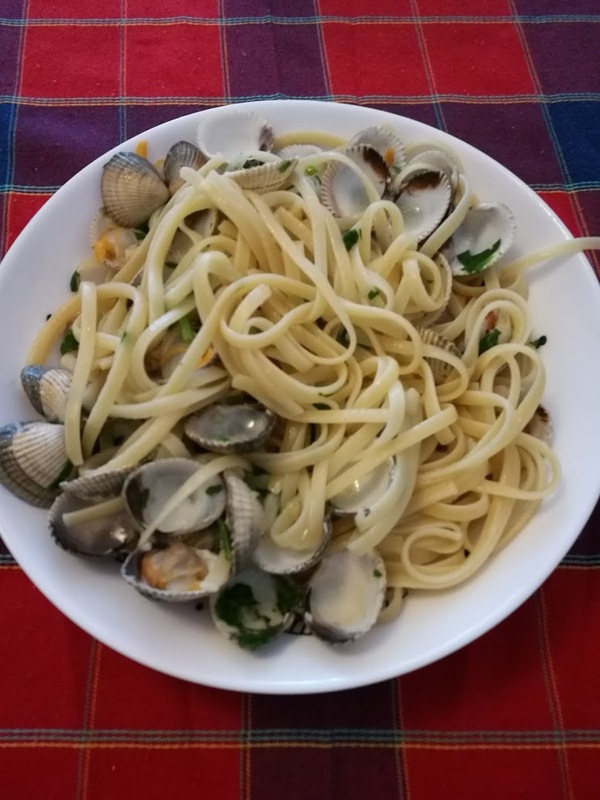 Mix the pasta to the cockles and add some parsley to your liking.